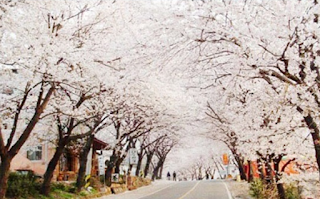 In early April, a cherry blossom festival is held in Korea. 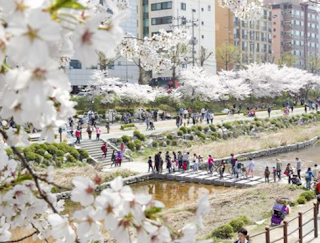 Depending on the weather, cherry blossoms bloom from the south. 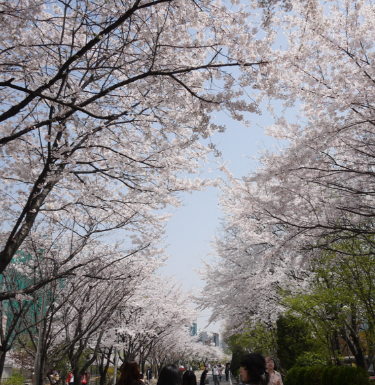 It is the most cherry blossom festival in Seoul. Festivals During the festival, various events are held to control traffic. It is a festival that attracts a great crowd. There will be 4kilo meter cherry blossom in small river. Two-day cultural events and festivals are held. There will be 500 meter cherry tree near 2room house. It is near hongdea, so many people will visit.